This is an older image. Last year was a good year to see these guys, they seemed to be everywhere. Lately I have not seen much nature, I think most things have gone somewhere cooler since it's been so unbearably hot here lately. 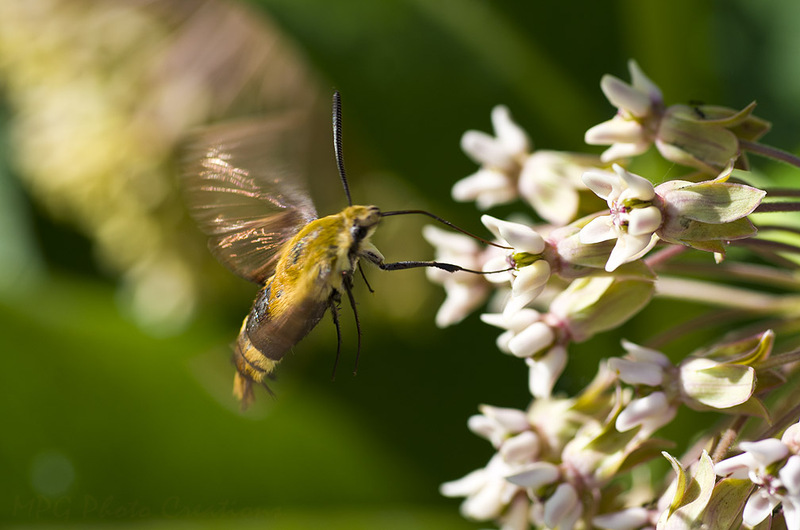 This Hummingbird or Glasswing Moth was enjoying the blooms of this Milkweed when I got this image of it. They are such cool little moths the way they hover like the birds of the same name.